First, let me be up front: I think that a law which encourages or allows people to claim religious freedom in choosing whom to business with is fraught with moral problems which fly in the face of what this country was founded on. In my opinion, it twists something which was meant to be an inclusive positive (and has evolved as such from when the Constitution was written with increased suffrage and civil rights) for the perverted purpose of hate. That’s not what this blog is about though. What this is about is what people will possibly do as a result. First the big business macro things. Marc Benioff runs a business my company competes with and bought an Indiana-based business for $2.5B. He’s come out against doing further business in the state but his hands are mostly tied. He’s not going to shutter ExactTarget and fire people who work for Salesforce.com over the law. He can move some functions like conferences (and has), use more technology to communicate with the ET HQ, but his options are limited. Major conventions like Gen Con which brings $50 million into Indianapolis may move. The NCAA has expressed concern and the FinalFour this year, which is in Indianapolis, will have the issue front and center for millions of TV viewers, sportswriters, and social media participants. Their headquarters is in the city as well. Changes in these areas may be quick or may take considerable time. It’s a safe bet that there will be other cities which get convention business so that the possible attendees aren’t possibly affected. Of course, other conventions may opt for Indiana for just that reason. What I think will be far more interesting will be stories of personal interactions which happen or do not happen. In order for a business to choose not to serve or deal with someone, there’s going to be one person outright asking another if they meet a specific criteria. I think that takes guts. It takes conviction which has to be firmly in place to say something like that to another person. Particularly in public where your judgement may be judged in turn. Particularly since these days, there will be pictures, video, social posts, and reviews which will be out in public. And once that genie is out of the bottle for your business, it’s not going back in. There will almost certainly be people who won’t step up to that plate and swing. And they may feel repressed or shamed because of it. They may also take the moment reevaluate their position. Those who do will probably reflect on the situation they created as well. Those interactions raise a very wide window for conflict. When will we see the first teacher – college, high school, or middle school; public or private – who refuses teach a student because they’re gay? What happens when that person’s friends come into class the next day and say that they’re gay too – even if they aren’t? What happens when a business owner turns someone out and the rest of their patrons walk as well then tweet about it? That will stay online forever. It will follow that employee, owner, teacher, public servant wherever they go. 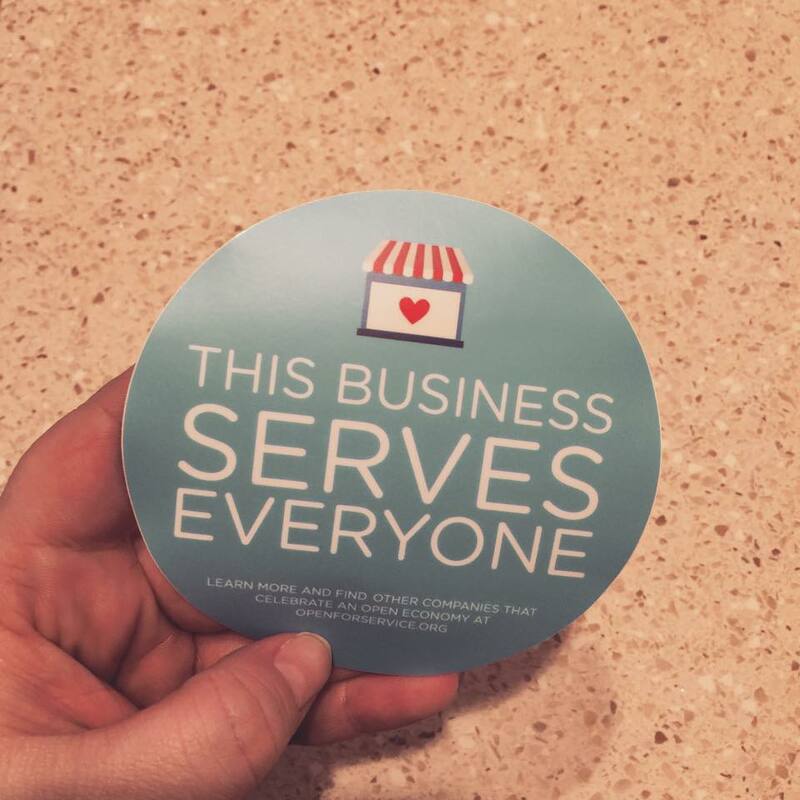 There are already stickers like the one below which some businesses are putting in their windows. Yelp’s CEO has posted a blog decrying the law. It would be very easy for Yelp to add a simple checkbox for business owners to display a logo on their page. It would take virtually zero effort for owners to upload a picture of their window. The same for adding a hashtag to their page on Google so someone could search for “thai restaurants which serve everyone”. Then people don’t even walk in the door if they don’t find what they’re looking for. Open for Business. For Everyone. Or maybe none of this happens. 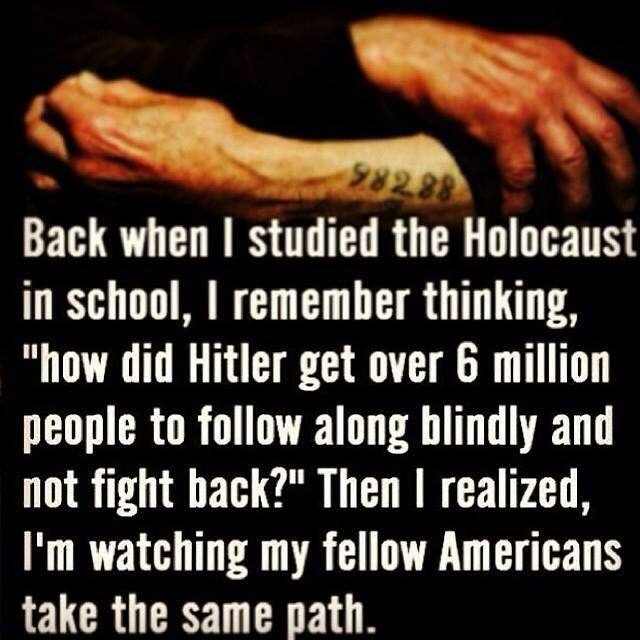 I’m Jewish and have grandparents who came to this country early last century with nothing. I also live in Atlanta which was a center of the civil rights movement. We’ve seen discrimination, patches people have to wear, and separate water fountains. It amazes me that now in this country a person can be asked a question about their beliefs or identity and be denied service in the name of freedom. Do the possible yet likely scenarios I spelled out above count as discrimination in the other direction? I suppose that could be read precisely in this way if you’re in favor of the law. That your business doesn’t really have the freedom to do what you value and that you’re being shunned unfairly as a result. Just know that those people not wanting anything to do with you aren’t doing so because of what they see as your religious beliefs. They’re doing so because they think you’re spreading hate due to a sense of fear or superiority.